Dinessa Rhea Solomon is the Executive Director for Foundations for Families, which she and her husband co-founded. Dinessa has been active in many ministries at the Church of Christ on Genessee Avenue, including the College Student Outreach Ministry, Youth Ministry and the Marriage and Family Ministry. Dinessa has been a Bible schoolteacher of all ages, including co-facilitating marriage enrichment workshops with her husband. Dinessa spent many years leading both the Nursery and Children's Church ministries. 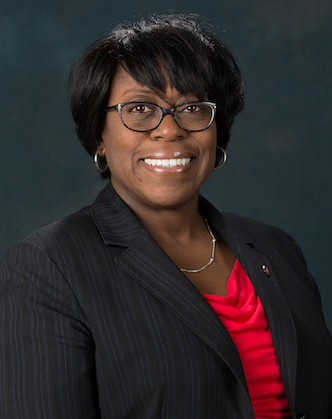 She has extensive expertise in the fund raising world, having worked for Ohio Dominican University, Ohio Governor's Office of Criminal Justice Services, the Ohio Attorney General, United Way of Central Ohio and The Ohio State University where she served many years as Executive Director of Foundation Relations. Dinessa is currently the Executive Director for Corporate and Foundation Relations at Vanderbilt University. Dinessa holds degrees from Southwestern Christian College and Arizona State University. She is married to Robert Solomon, one of the Elders and Associate Ministers of the congregation. They have two adult children. Robert L. Solomon, II is a member of the Church of Christ congregation that meets at 1889 Genessee Avenue in Columbus, Ohio. 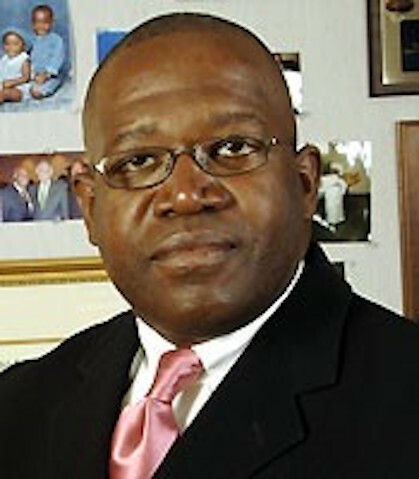 He currently serves as an elder and associate minister for the Genessee Ave. congregation. Robert hails from Akron, Ohio and obeyed the Gospel at the Wooster Ave. church of Christ under the mentorship of Norvie Cottingham, Wash McCall and Winston Martin. Robert is a graduate of Lipscomb University and The Ohio State University Moritz College of Law. He currently serves as an Assistant Vice Provost at The Ohio State University. Robert is married to Dinessa Holloway Solomon and the couple have two children: Lee, a student at Lipscomb University and Allegra, a student at Ohio University. Dinessa is a graduate of Southwestern Christian College and Arizona State University. Dinessa’s father serves as an elder at the Tonto Street church of Christ in Phoenix, Arizona. Robert became a member of the Genessee Ave. congregation in 1986 and has served as a bible school teacher, choir director, youth minister and the marriage and family minster over the years. In 2016, he was appointed to serve as one of the elders. The Marriage Ministry supports strong Christian marriages by offering classes, seminars, fellowship events, and counseling to married and engaged couples. Many couples are certified by the Marriage Dynamics Institute to present their prepared couples seminars. In addition, seminars on various topics that affect marriages are made available, including topics of Communication, Finances, and Faith. The ministry also hosts fellowship events during the year for couples. Game Night, National Black Marriage Day, Couples Cooking Classes, and various holiday events provide entertainment and learning experiences. They also provide a way for like-minded couples to interact and form bonds that will prove beneficial as life moves on. The annual Midwest Marriage Retreat is a main event. Each year a different congregation hosts the event, and the Marriage Ministry actively promotes the event, especially when hosting duties fall locally.